Now The Details: Government Funding: A Blessing or a Curse? 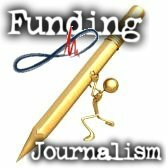 Government Funding: A Blessing or a Curse? Would NPR and the public radio system be better off without government funding? The short answer (but not the most complete answer) is no. NPR might survive without the 1-2% of its budget that comes from receiving grants (for which it must compete) from the Corporation for Public Broadcasting. But the small and mid-market stations would be seriously crippled. The stations receive on average around 10-13% from CPB. In less populated areas of the country, that number could rise to between 30-40% as stations in places such as Alaska, Oklahoma and Wyoming just don't have the philanthropic base that stations in Los Angeles and New York can draw upon. If Congress is serious about abandoning the heartland to religious broadcasters and mass produced centralized programming with no local content, then NPR needs to make sure that the consequences of de-funding are understood. Congress and by critics of public broadcasting need to know. For the sake of argument, let's imagine that the public radio system had to compete with commercial broadcasters for a diminishing number of advertising dollars. What would the impact be on NPR content? There is no doubt that the news and information programs would be thinner. Much thinner. And the ability of local economic and political interests to influence the content would be stronger. But it could be argued that already happens. When the second Palestinian Intifada began in 2001, NPR came under unrelenting pressure from pro-Israeli media watchdogs. In particular, CAMERA (Campaign for Accuracy in Middle East Reporting in America) raised regular objections to NPR's coverage. NPR took the criticisms seriously. Some changes were made. There was more transparency about the processes. But the commitment to covering the story did not change. CAMERA then switched tactics, and went after NPR member stations. Being based in Cambridge, MA, it was particularly focused on WBUR in Boston. The CAMERA campaign was successful for a time, and WBUR lost around $1million in donations in one year. To NPR's credit, it continued to report the story, even as it took an increasingly number of criticisms from CAMERA and its allies. Some of the criticisms were fair. Many were not. CAMERA saw this as an opportunity to raise support for its cause and to raise a considerable amount of money at NPR's expense. It was not a pleasant time to be either the head of news or the ombudsman at NPR. I was both during this period. Slightly desperate, I asked a colleague at CBS News how they were handling the criticism. His response: "It's not a problem for us. We don't cover this story. We don't want the aggravation." CBS would report the occasional suicide bombing. They rarely covered the story in the Palestinian Territories. Eventually, the Intifada and CAMERA's criticisms ended. WBUR returned to successful fundraising. NPR continues to cover the Middle East better than ever. The lesson I draw from this experience is this: NPR was committed to reporting this story and to answering the critics. NPR's President at this time, Kevin Klose was a great defender of NPR's journalism, while also being a tough internal critic. We were determined not to be intimidated. And NPR could not have done this if it had been dependent only on commercial sources of revenue. The balance among public, philanthropic and corporate funding isn't always an easy way to run this enterprise. But it works as long as the vision is there. And the willingness to occasionally punch above your weight.